One of my favorite digital destinations for Motherhood inspiration is Mother. It’s beautifully curated and the topics are fun to peruse. One recent article interviewed the founder of Baggu, Emily Sugihara, about avoiding a diaper bag. The moment I opened the article, I realized that I hadn’t given a diaper bag much thought for baby number two. It suddenly dawned on me how care-free it feels to have one child to tote around who doesn’t require much stuff! I have a traditional diaper bag from the first time around, but I would prefer the freedom of using multiple bags. With Emily’s tips fresh in my mind, I’m going to try using pouches to make any bag a “diaper bag” even as I double the amount of stuff that I need to carry. 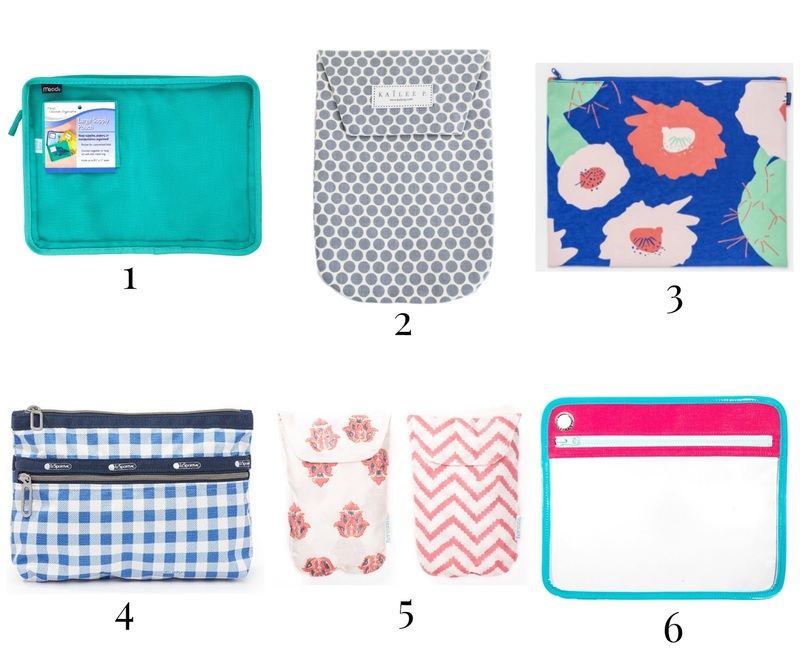 These are some of the most eye catching and functional options I found (including a very budget friendly choice that is actually a school supply pouch with a clear front and label pocket). These are all great options and I love this idea! I go back and forth between a diaper bag and a regular tote. With only one in diapers now I'm feeling like I can finally just use a regular bag with organizations options like these. I think I'm ready for an oversized purse wig one in diapers and no more bottles/burp cloths! I already keep their extra outfits just in my car. But do you know if there is something you can buy to clip your purse to your stroller handle? I don't know if I can live without that function that my current diaper bag has. I need both hands free! I'm so glad you shared these! I did get a traditional diaper bag, but have a feeling I'm going to want to switch it up every once in a while. Now to decide which one, they're all so cute!